Your garage is more than simply a way to keep your cars out of inclement weather. 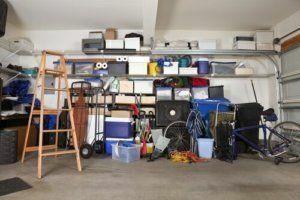 And while many homeowners use their garage as an additional storage space, it can actually be so much more. The biggest benefits: planning a garage remodeling project can actually add value to your home and expand your usable living space. We suggest that the first step toward a garage remodeling project is to decide what you want to actually create. For instance, do you need more storage space, or are you looking to build a workshop or maybe even a gym or home office? While extra storage space can be as simple as adding shelving and other fixtures, more extensive plans might call for more a more complex renovation. And depending on your home’s layout, you might be able to add a second story or extension to your garage. This extra floor space can be converted into whatever you need – without sacrificing space for your car or other necessities. Once you know what you want, start deciding on some of the finer aspects. A remodeling company can help design the garage remodeling project, but the more specifics you decide on in advance, the faster the process will be. In the past, a garage was seen as simply a place to park your car and maybe stash some tools and the lawnmower. Times have changed. Garages aren’t simply for housing vehicles anymore. They can serve a wide variety of purposes, from providing lots of extra storage to serving as a workshop. At Republic West Remodeling, we believe it’s important to choose the right garage remodeling contractor the first time around. Contact us today about your garage remodel in Phoenix.